Download Xiaomi Mi Home Android Application latest version from here. 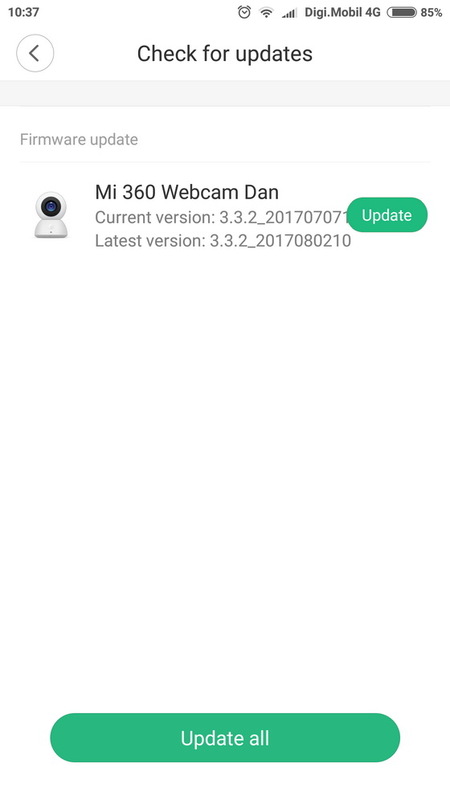 Xiaomi MiJia 360° Smart Home Camera new firmware: 3.3.2_2017080210. Xiaomi MiJia 360° Smart Home Camera previous firmware: 3.3.2_2017070712.